Well, you might have noticed I have not been posting what we receive in our CSA shares every week lately. The reason for that is that we keep getting similar things we have already gotten – and no one wants to see pictures of just slightly different tomatoes every week! – Okra (it goes great with tomatoes, or roasted in the oven with a little olive oil, salt and pepper). – Onions. Because they just go with tomatoes and okra. 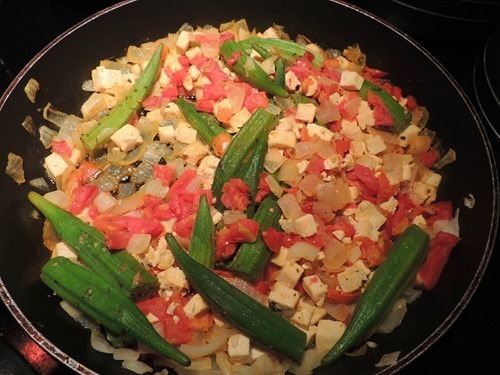 Sautéed onions, tomatoes, tofu, and okra. I ate all of it but the okra! I searched Pinterest for radishes and I just now realized I spelled it wrong! 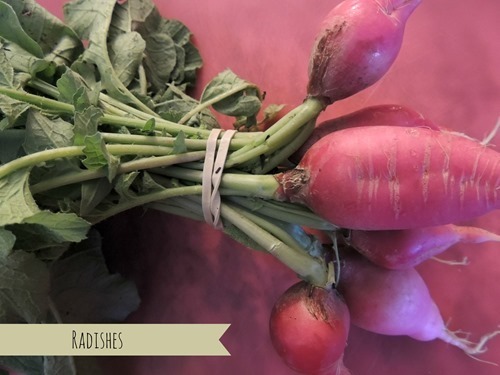 There actually are a bunch of things you can make with radishes (I see a radish recipe round up post in the future!) 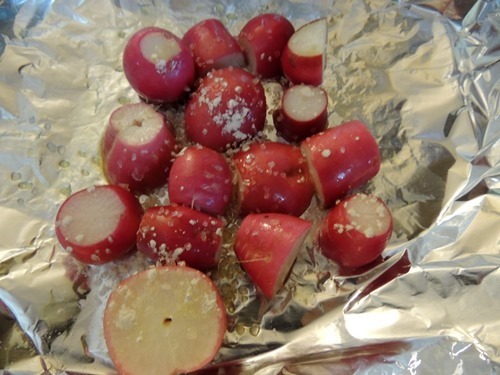 but due to my misspelling, I only came up with one that I wanted to try – roasted radishes. The recipe is very simple. 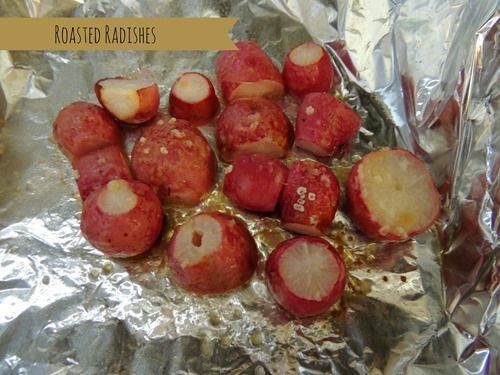 All you have to do is wash and slice the radishes, then cover them with olive oil and sea salt. I also added garlic powder. Roast for 25 minutes at 450 degrees. So, who else is like Dave and actually likes okra? And do you want to see a round up of radish recipes?